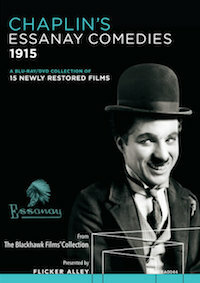 Your complete guide to the early Charlie Chaplin shorts at Keystone, Essanay and Mutual! 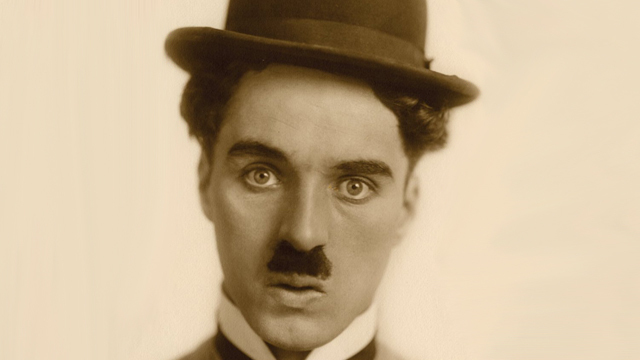 Signing a contract with Keystone Studios in 1913, Charlie Chaplin left the vaudeville to begin what would become a legendary career on the silver screen. 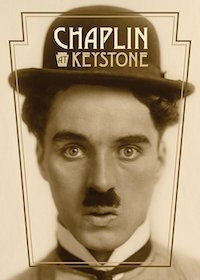 After several dozen short films with Keystone in 1914, Chaplin signed with the Essanay Film Manufacturing Company. 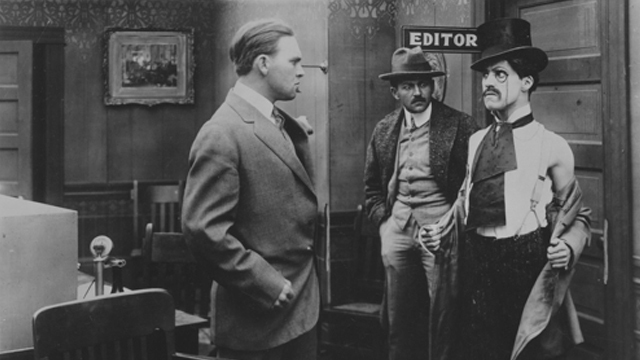 There, he produced an additional 14 shorts before a record-breaking contract brought him to the Mutual Film Corporation in 1916. 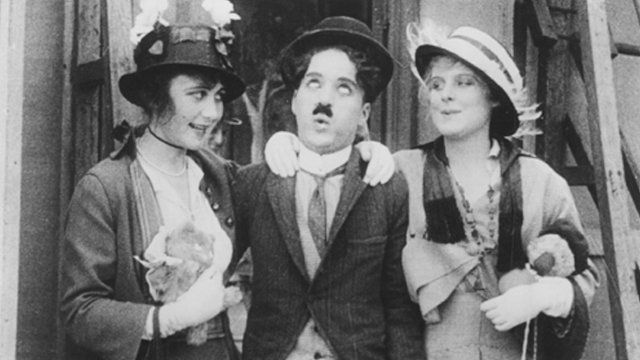 Flicker Alley has had the honor of releasing three different sets of Charlie Chapin shorts, offering his entire extant filmography from Keystone, Essanay and Mutual. 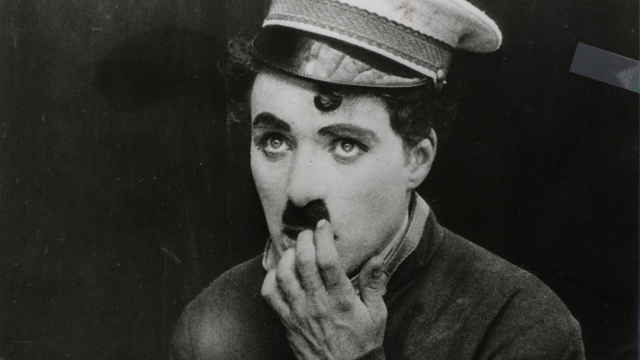 In case you’re not familiar with his early filmography, we’ve pulled together the following chronological guide, following Chaplin through his very first appearances, the introduction of his iconic Tramp and more! Included is the running time for each of the shorts, the films’ original premiere dates and, where available, alternate titles used for film re-releases. A few more shorts not included in this guide were subsequently produced when Charlie Chaplin moved to First National in 1918. 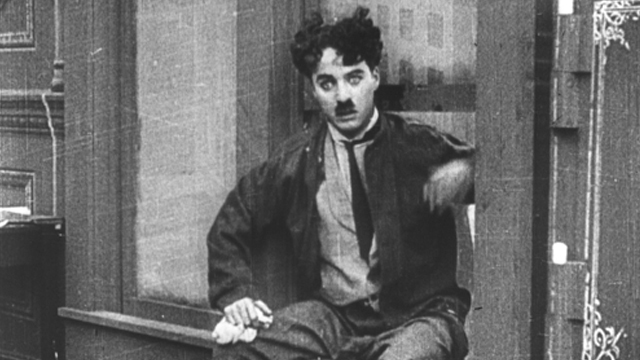 It is there that Chaplin began his shift into feature film, beginning with 1921’s The Kid. 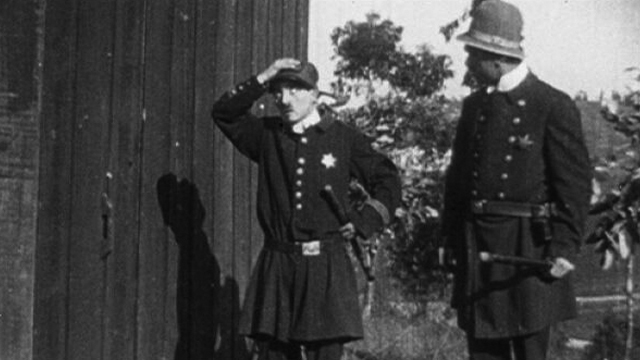 In his first short, Charlie Chaplin stars as a swindler by the name Edgar English who, attempting to con a young lady, finds himself face to face with the Keystone Kops. The Little Tramp makes his big screen debut attending a baby-cart race where he’s unable to keep from causing a nuisance. 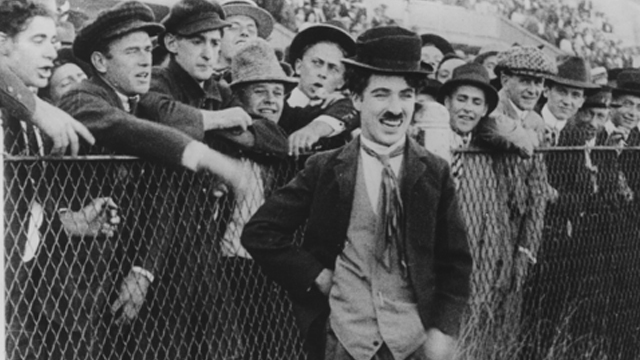 Although it was released after “Kid Auto Races at Venice,” this short was the first appearance of Charlie Chaplin’s Little Tramp to be produced. 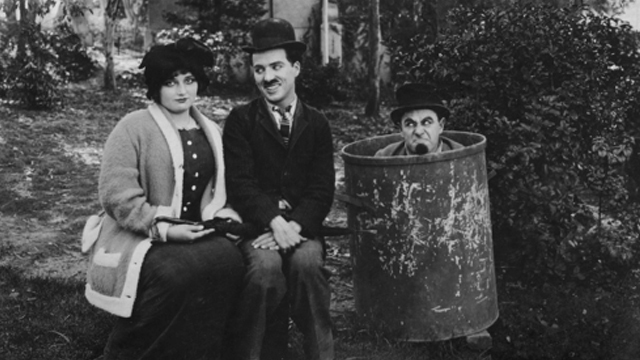 Here, he teams with Mabel Normand for a mixed up comedy set in a hotel. 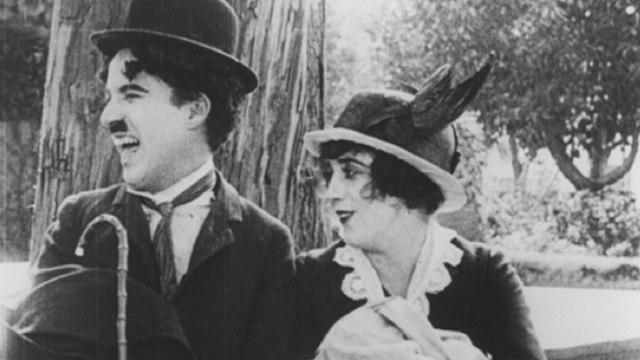 Believed lost for nearly a century, a print was discovered in 2010, revealing Charlie Chaplin’s minor role in this cops and robbers comedy adventure. 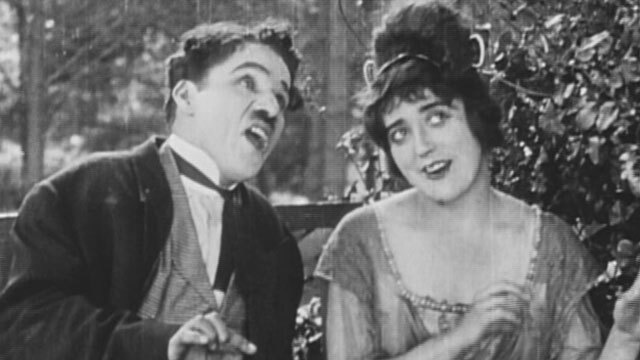 Although only a six minute excerpt is available in our “Chaplin at Keystone,” the full eight minute short is included in our “Mack Sennett Collection”. Charlie Chaplin stars opposite Ford Sterling as two men who fight offer the affections of a lady. When the Tramp falls in love with an actress that he sees in a Keystone short, he decides to visit the studios to try and track her down. 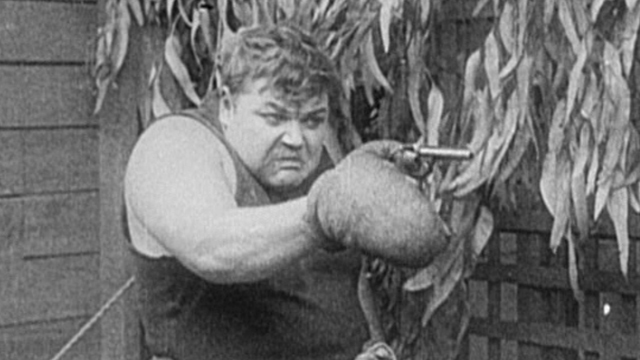 Look for a cameo appearance by Fatty Arbuckle, playing himself. 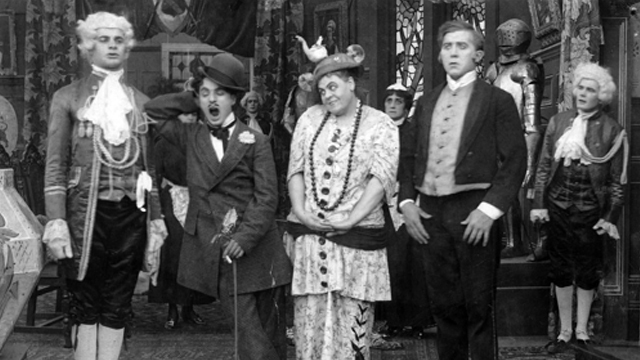 Fatty Arbuckle, Charlie Chaplin and Ford Sterling star as bandleader, a drunk and a musician, respectively, who all vie for the attentions for a hat-check girl during a dance hall performance. When the Tramp follows a woman home from a bar, he winds up having to deal with her enraged husband. 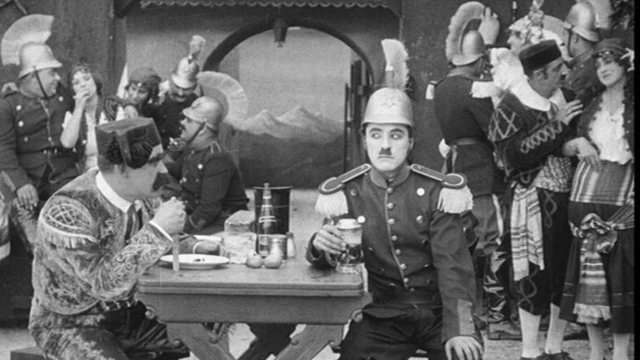 Chaplin, playing the upper class Lord Helpus, grows so despondent when his wife leaves him that he decides to poison himself. But then she returns and asks for his forgiveness and comedy ensues. Charlie Chaplin plays a tenant who his landlady prizes above all the others, leading to some jealousy from his building’s other residents. 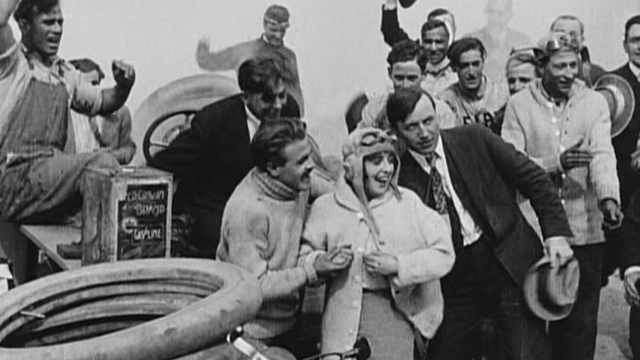 A day at the races leads to Mabel Normand taking over as one of the featured cars’ drivers even as she does battle with a villainous Charlie Chaplin and his henchmen. 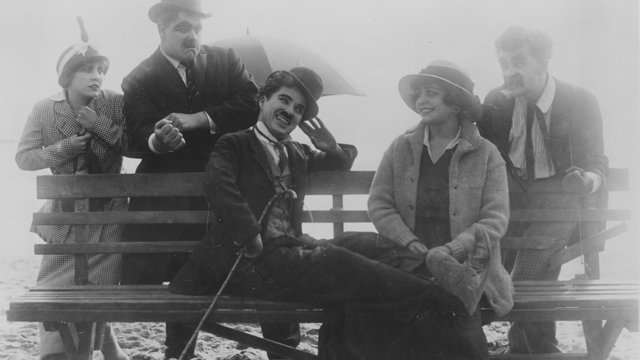 Charlie Chaplin makes his directorial debut with a story of the Tramp’s day in the park. There, he finds potential love and faces off against a watch thief. In an attempt to impress a society debutante (Mabel Normand), Charlie Chaplin’s lowly waiter decides to pose as a wealth Greek ambassador. 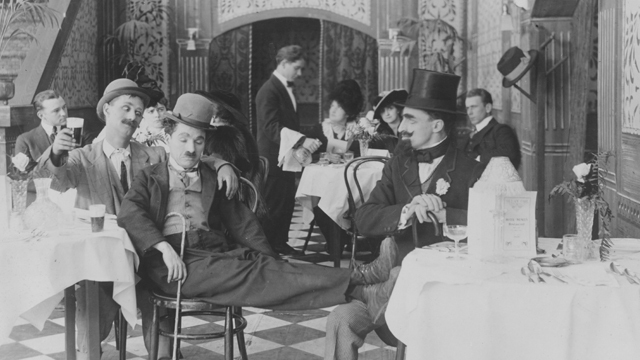 The first short fully directed by Charlie Chaplin, “Caught in the Rain” offers a comedy of errors set in a hotel. 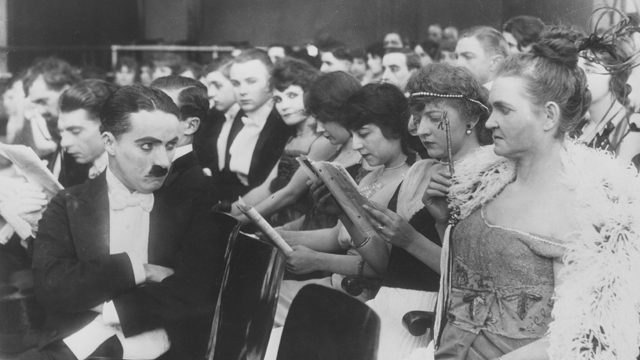 Charlie Chaplin dresses in drag to play an unpleasant woman who disrupts a movie set. 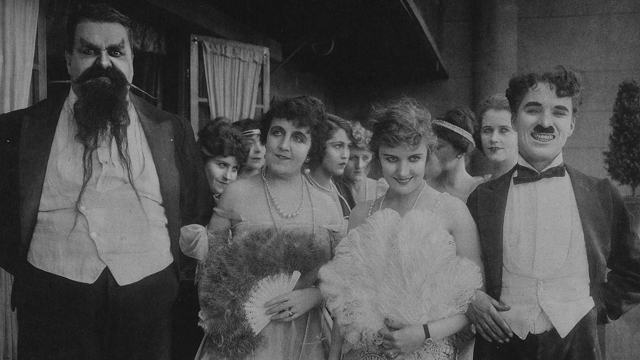 Director Mack Sennett makes an appearance as the director of the film within a film. 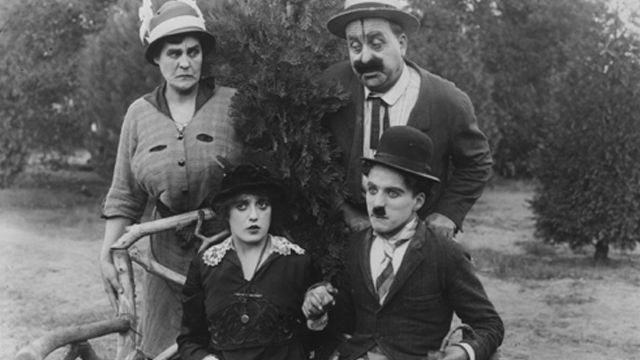 Charlie Chaplin joins Mack Swain and even Mack Sennett himself to compete for the affections of Mabel Normand. 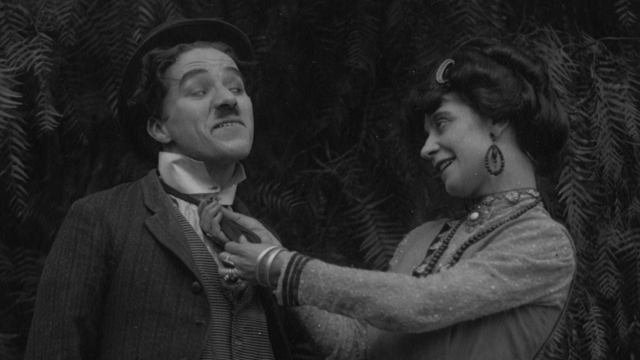 One of only two lost Charlie Chaplin shorts, “His Friend the Bandit” featured Chaplin as a vicious criminal who, after kidnapping a Count, takes his place to win the affections of Mabel Normand. That is, until the Keystone Kops show up. 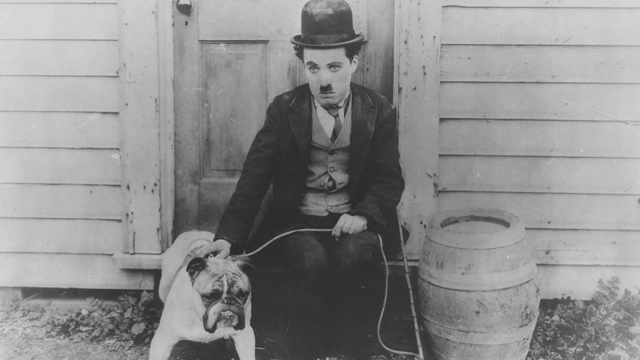 Although Charlie Chaplin appears in a supporting role, “The Knockout” really belong to Fatty Arbuckle who, playing a hobo named Pug, then pretends to be a famous boxer named Cyclone Flynn. 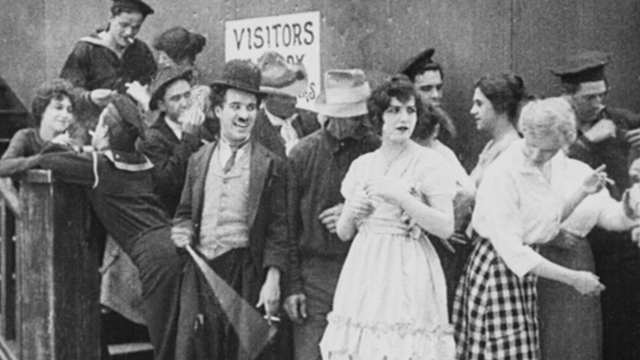 Mabel Normand plays an unfortunate hot dog vendor who, thanks to a misunderstanding, loses all her hot dogs to Charlie Chaplin while at a race track. 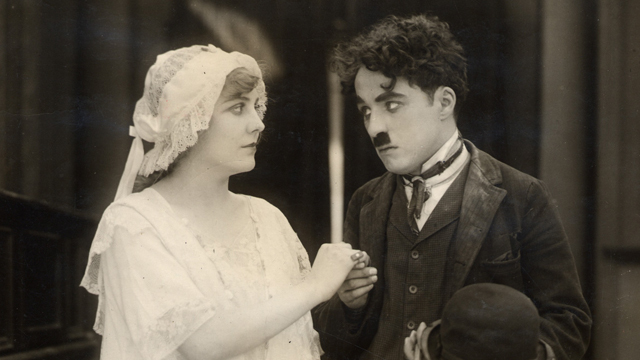 Mabel Normand and Charlie Chaplin play a married couple. When she is harassed in the park, Mabel decides to purchase a training dummy in an effort to make a fighter out of her husband. Naturally, things don’t exactly go according to plan. A dental assistant to one Dr. 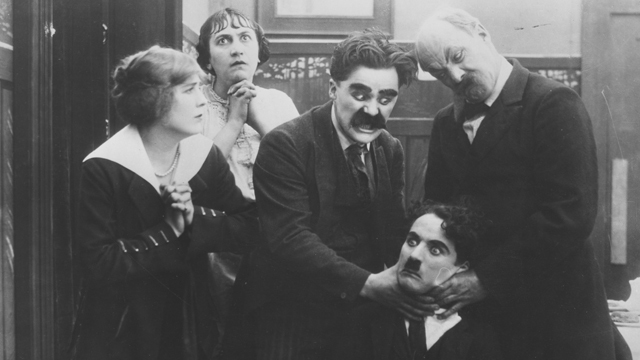 Pain, Charlie Chaplin winds up taking over the practice to hilarious results. 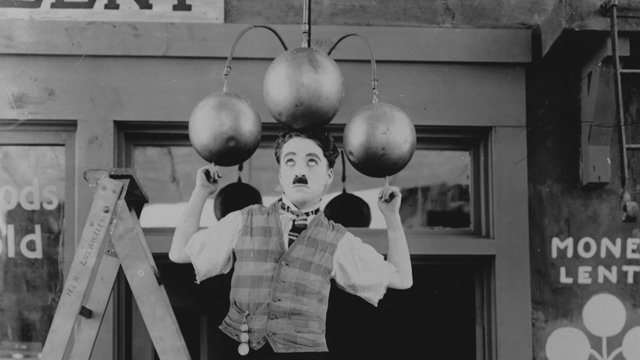 Charlie Chaplin is responsible for the props at a vaudeville theater and winds up having to deal with the eccentric personalities who have need of his services. 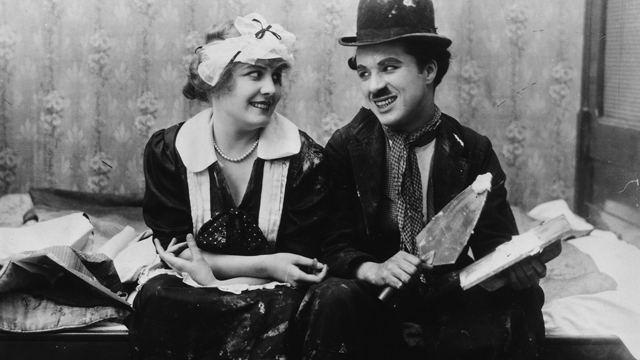 Upset at that the woman he was courting has rejected his advances, Charlie Chaplin’s Tramp drinks his worries away and attempts to draw her picture in chalk on the floor of a bar. 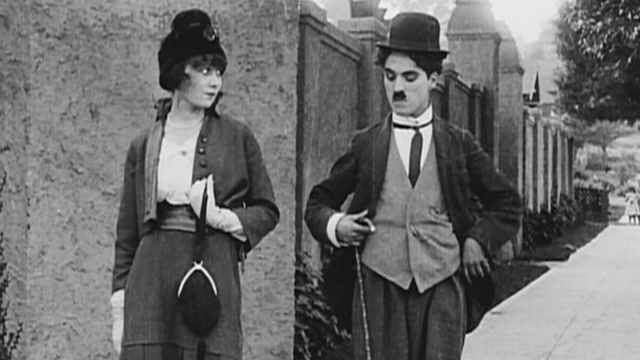 So depressed that he’s considering suicide, Charlie Chaplin’s day perks up when he crosses paths with a lovely young lady. Unfortunately, her boyfriend soon arrives and a day at the park quickly becomes a brick-throwing match. 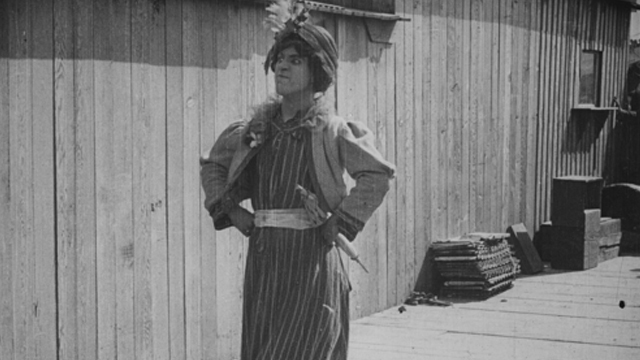 Kicked off of a movie set because of his acting, Charlie Chaplin decides he can get another shot at stardom by pretending to be a woman. 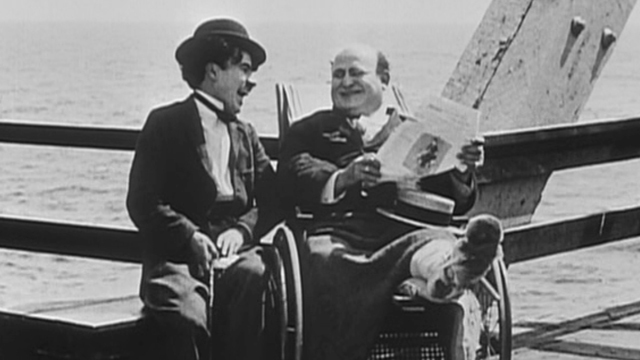 Charlie Chaplin teams with Charles Parrott (the future Charley Chase) for a whirlwind comedy that begins when Chaplin decides to help a man in a wheelchair. 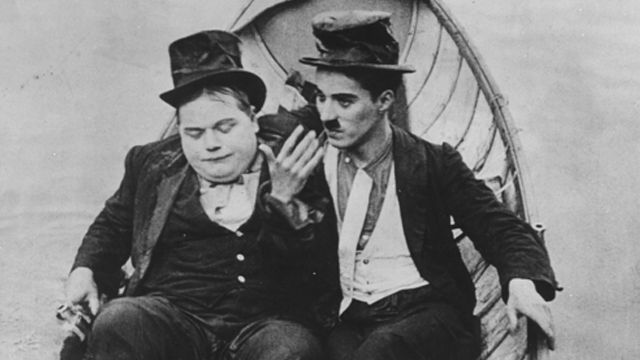 Charlie Chaplin and Fatty Arbuckle play a pair of neighbors who, coming home drunk, incite the wrath of their respective wives. 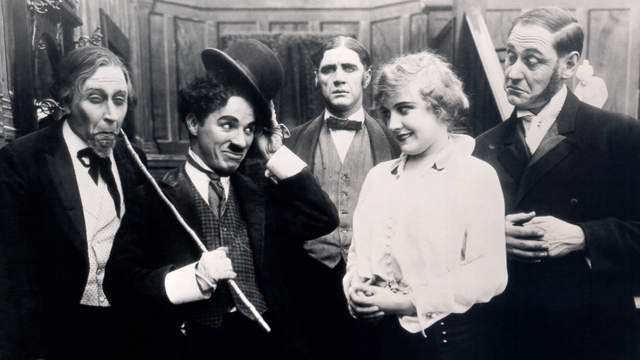 Charlie Chaplin plays a janitor who, fired for repeatedly messing everything up, returns just in time to save an attractive stenographer (Helen Carruthers) from would be burglars. 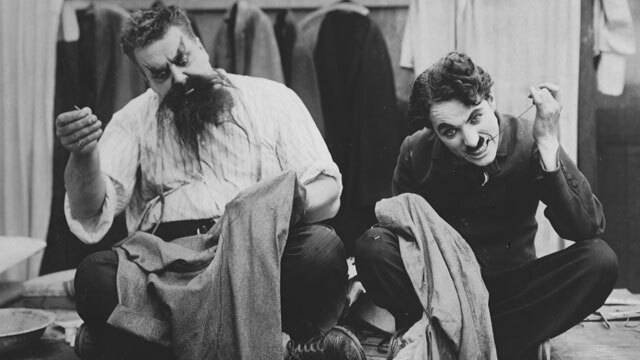 Charlie Chaplin and Chester Conklin play rivals who do battle with one another to win the affection of any woman they come across. Charlie Chaplin and Chester Conklin are again teamed, this time as waiters who lose their jobs when all the cooks go on strike. 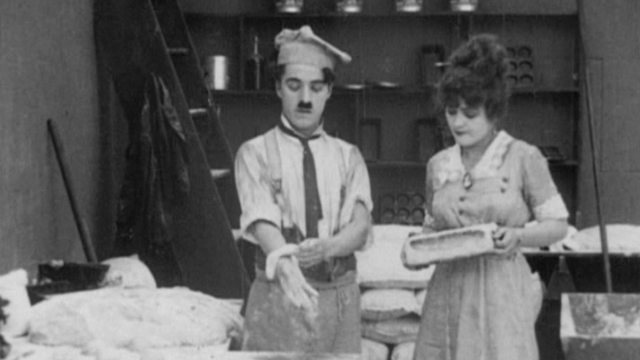 They try to take over the kitchen, but have to contend with dynamite hidden in the dough by the angry striking chefs. 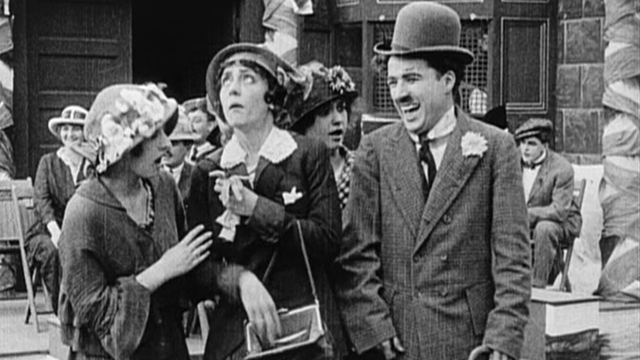 It’s another crazy day at the races with Mabel Normand, Chester Conklin and, of course, Charlie Chaplin as a character named Mr. Wow-Woe. 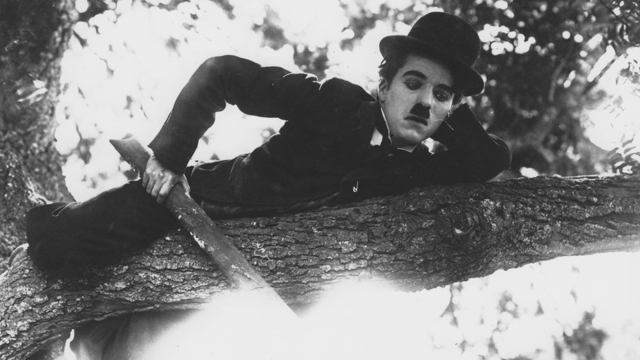 Charlie Chaplin works as both a piano mover and piano repossessor. Unfortunately, he’s just mixed the two address. When he accidentally takes the wrong coat after leaving a restaurant, a series of misunderstandings gets Charlie Chaplin’s hapless Clarence in a lot of trouble with his wife. 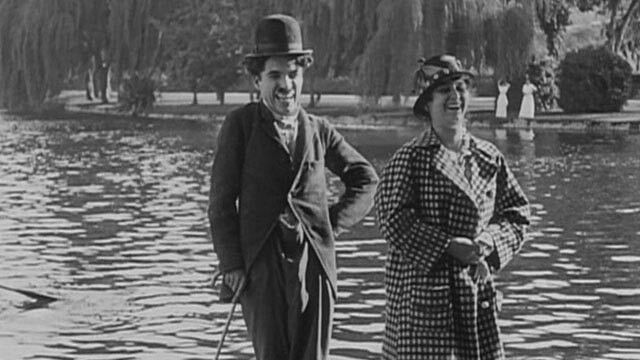 The final Charlie Chaplin short produced at Keystone, the comedy sees Chaplin and Mabel Normand as a pair who, despite being married to other people, decide to meet up for a secret rendezvous in the park. 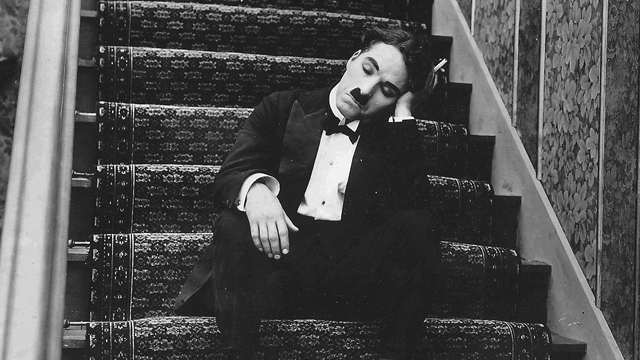 When Charlie Chaplin falls asleep on a park bench, he dreams of a previous life as a prehistoric cave man. 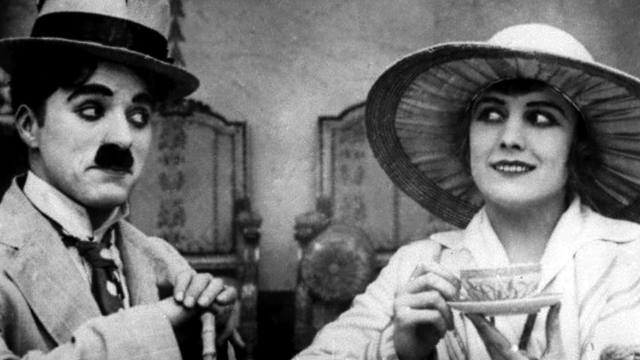 In this feature length adventure, Charlie Chaplin and Mabel Normand team as a pair of cons with designs on stealing the wealth inherited by an innocent woman, Marie Dressler’s Tillie. 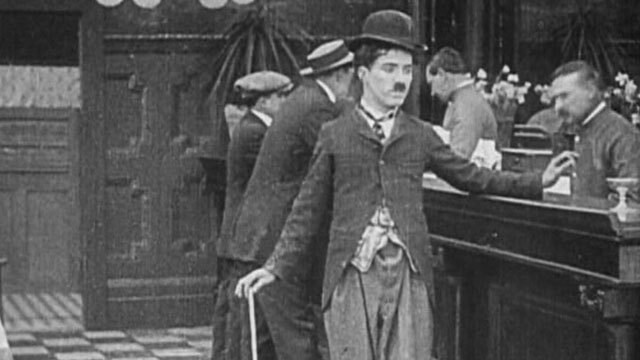 Poking some fun at his own career, Charlie Chaplin intentionally planned this short to launch his time at Essanay. 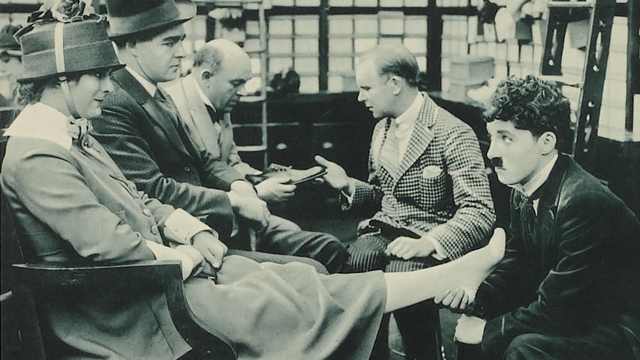 Look for an appearance by Gloria Swanson in one of her very first roles. Charlie Chaplin faces off against a thief in the park. 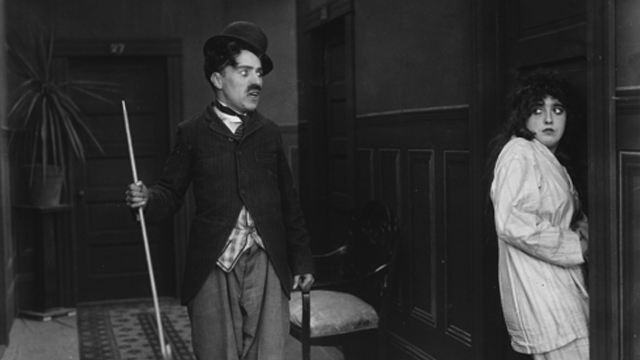 To win the affections of the girl he loves, Charlie Chaplin pretends to be wealthy Count. 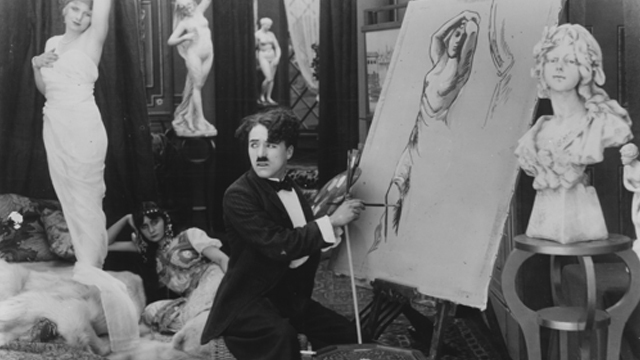 Hired to put up wallpaper at a luxurious mansion, Charlie Chaplin’s Tramp winds up contributing to a ruckus involving a wife, her husband and her secret lover. 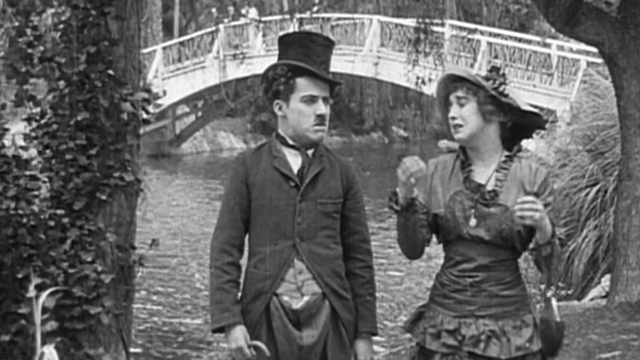 Invited to dinner by a mother and daughter he meets at the park, Charlie Chaplin must pretend to be a woman named Nora Nettlerash to avoid the family’s angry father. 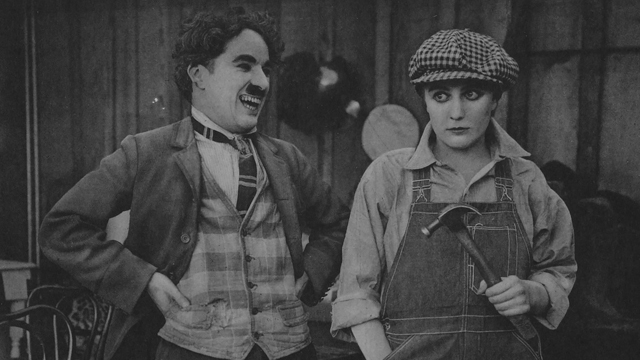 A loose remake of “The New Janitor,” this one finds Charlie Chaplin working as a janitor at a bank and vying for the affections a secretary played by Edna Purviance. 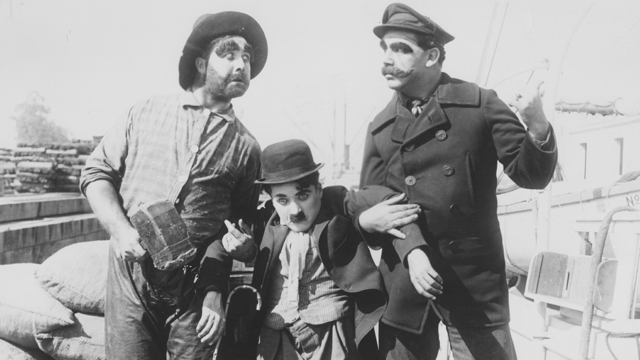 Charlie Chaplin’s Tramp has just found work aboard a ship, but there’s one little problem: the ship owner has plans to sink the vessel for the insurance money. 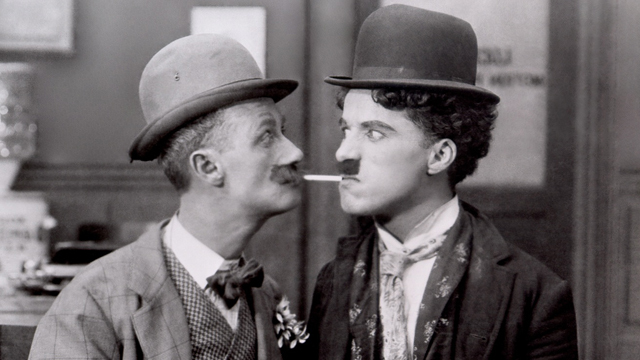 Charlie Chaplin plays duel roles (as Mr. Pest and Mr. Rowdy), both of whom seem intent on ruining a night out for everyone around them. 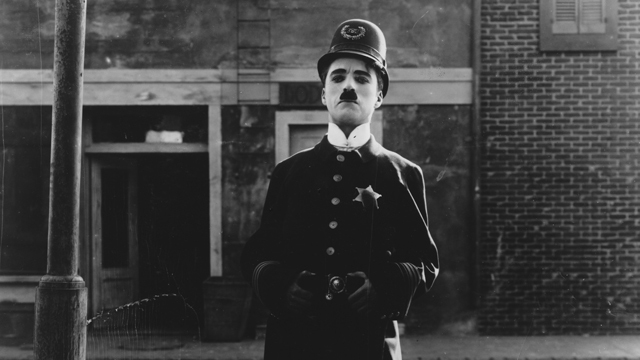 A parody of Cecil B. DeMille’s Carmen (released that same year), the short finds Charlie Chaplin as unwitting police officer Officer Darn Hosiery, who becomes the target of gypsy smugglers. 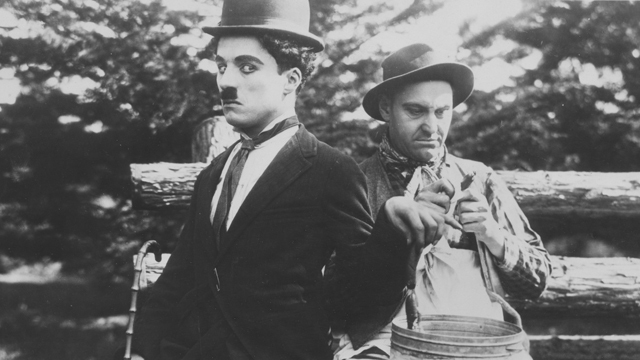 Released from prisoner, Charlie Chaplin’s Tramp teams with a former cellmate who has plans to rob a young woman. 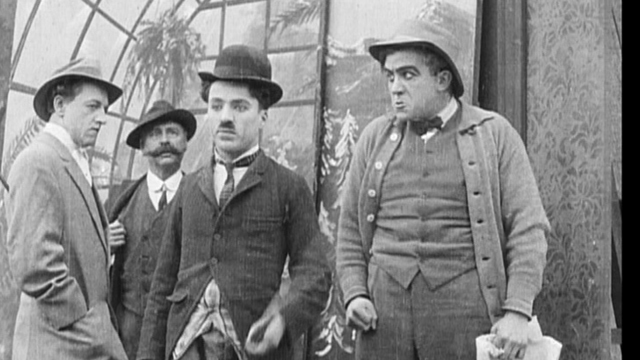 Three years after Charlie Chaplin had finished his work at Essanay, the studio released “Triple Trouble,” a sort of clip show of outtakes. 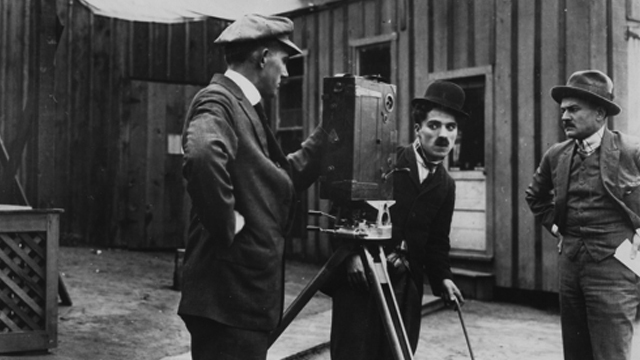 Among the footage highlights are segments from Life, an aborted attempt that, had it been completed, would have marked Chaplin’s first feature film. 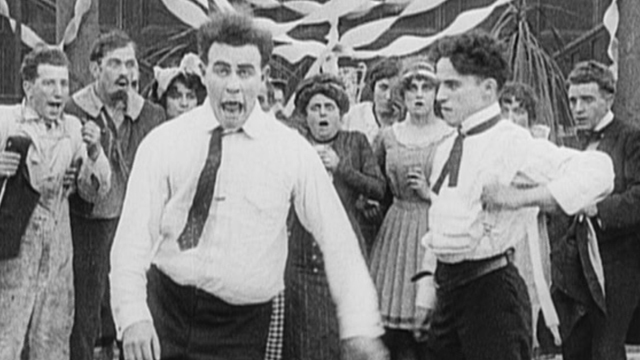 Thanks to Charlie Chaplin’s Tramp, comedic chaos erupts in a department store. 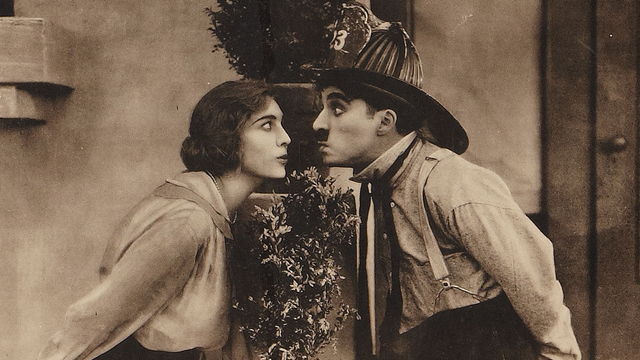 Charlie Chaplin is a firefighter who isn’t exactly great at his job. He’s been tricked into letting a house burn because the owner wants to collect on the insurance. 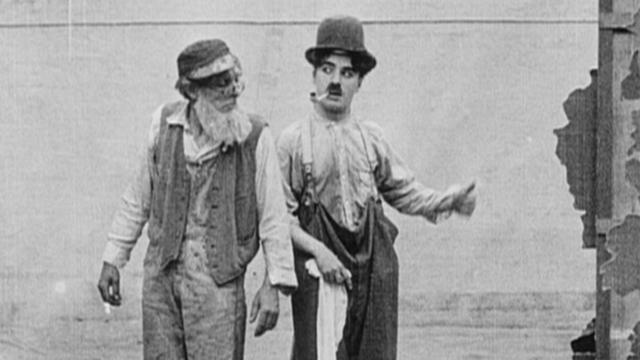 Charlie Chaplin’s Tramp tries to earn money by playing the violin, but he’s soon facing off against the jealous competition. 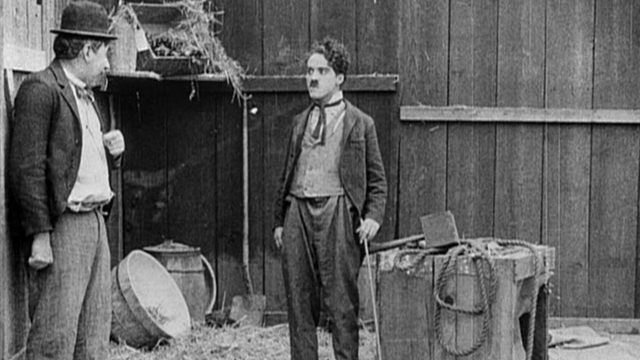 It’s Charlie Chaplin versus his own home as getting into bed after a night of drinking proves far trickier than it might seem. 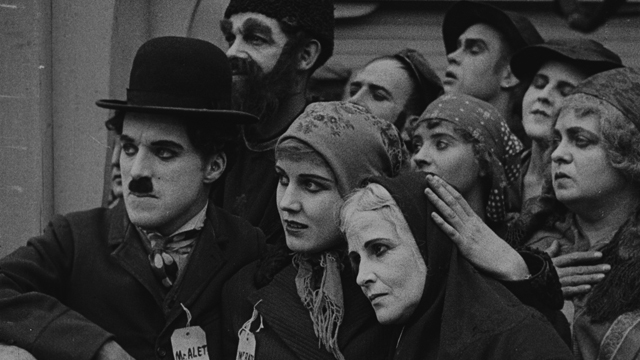 Fired from his job, Charlie Chaplin’s Tramp once gain finds himself pretending to be someone else as he attends a party at the Moneybags estate. 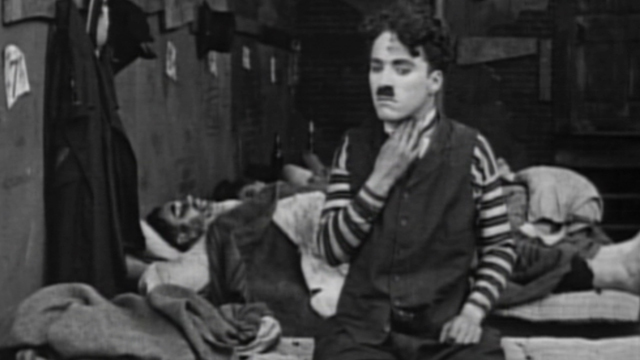 Working in a pawnshop, Charlie Chaplin faces all sorts of strange occurrences, including an armed burglar. It’s a biblical retelling as Charlie Chaplin’s David, a movie studio stagehand, faces off against a rival stagehand, Goliath (Eric Campbell). 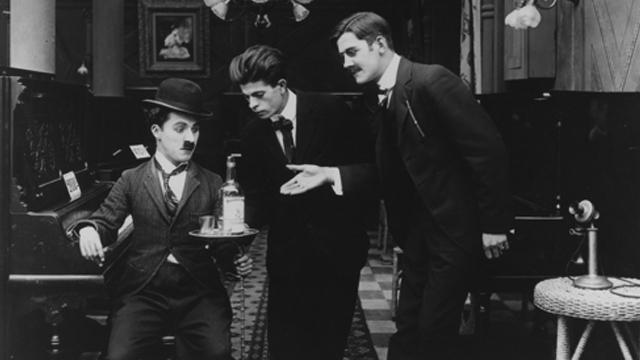 Charlie Chaplin plays a waiter who isn’t exactly great at his job. When he’s on his lunch break, though, he really shines. That’s when he gets to put on his rollerskates! Charlie Chaplin trades in his Tramp identity and becomes a police officer. The only trouble is that he has to face off against a street bully (Eric Campbell). 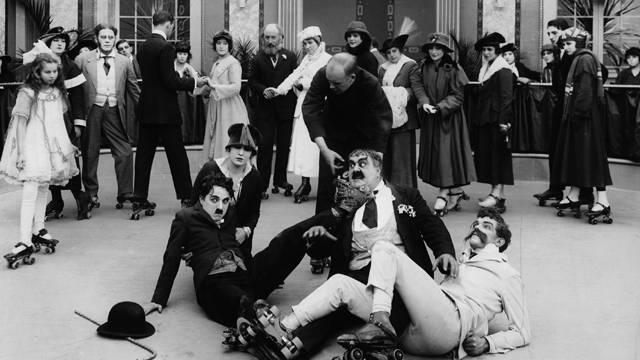 Comedy chaos erupts when a drunk (Charlie Chaplin) checks into a day spa. En route to America, Charlie Chaplin’s Tramp has some trouble aboard an Atlantic steamer. 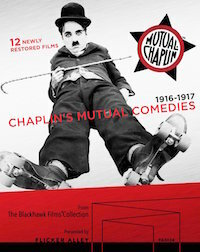 In his final film at Mutual, Charlie Chaplin plays an escaped convict. 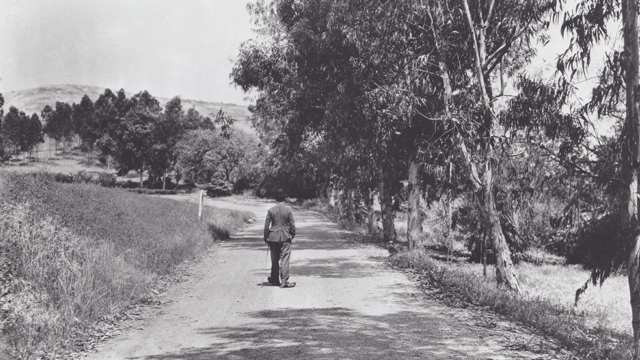 Tragically, “The Adventurer” also marked the final screen appearance from Eric Campbell. 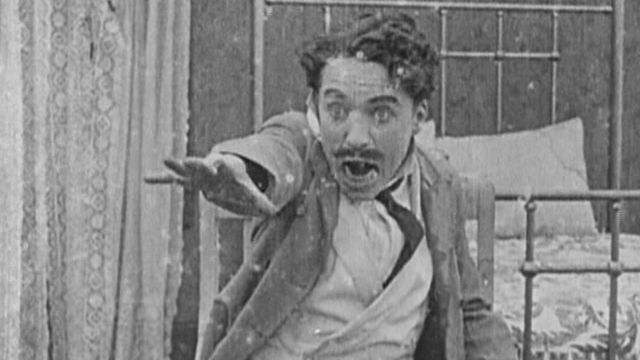 He died in an automobile accident less than two months after the short premiered.